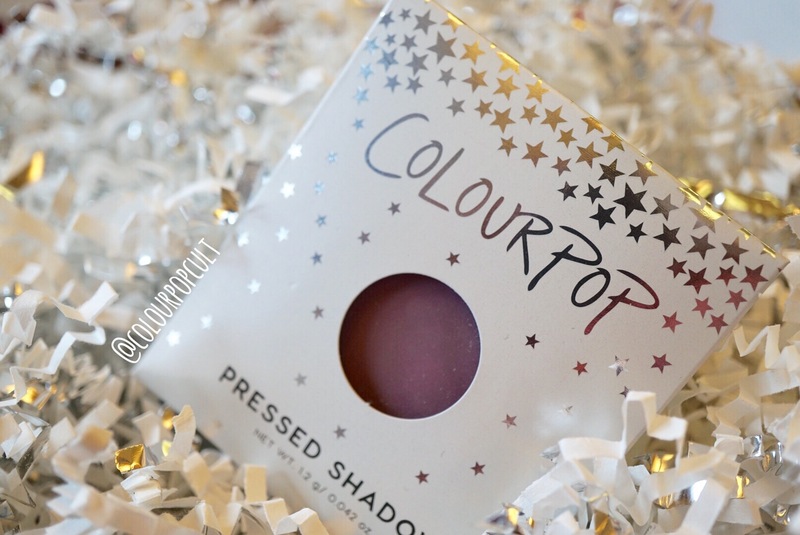 The first big release of pressed shadows by ColourPop hit us last week and it had people with a conundrum: will they be better than their Super Shock formula we have come to know and love? I think they basically are a complement. The mattes are certainly better than the moussey formula as powder naturally would blend better than a semi cream product, but the metallic formula on the Super Shock shadows is just unparalleled. 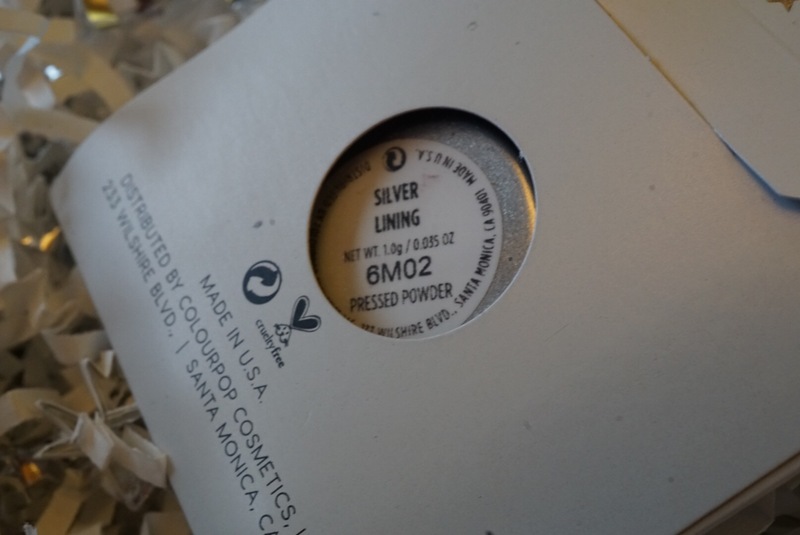 The new Metallics are great but there is some fallout as it’s expected with glitter particles, the thing is: we were used to the Super Shock’s metallic formula that didn’t go anywhere and didn’t need a primer. Right now I feel the old Metallics are still my favorites with the exception of one certain peach gold shade that we will get into. 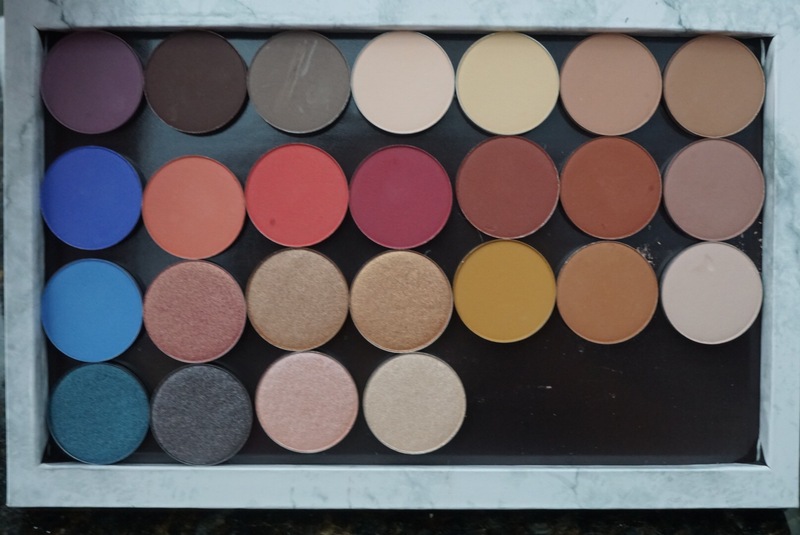 The price remained at $5 for 0.035 oz of product and they come in a pan ready to be housed on a magnetic palette of your choice OR if you purchase four, you get a free empty palette. The latter has a silver and stars packaging and houses 4 pans at a time but the insert can be removed to reveal an area that could easily fit 8-10 (if you cram them all together). 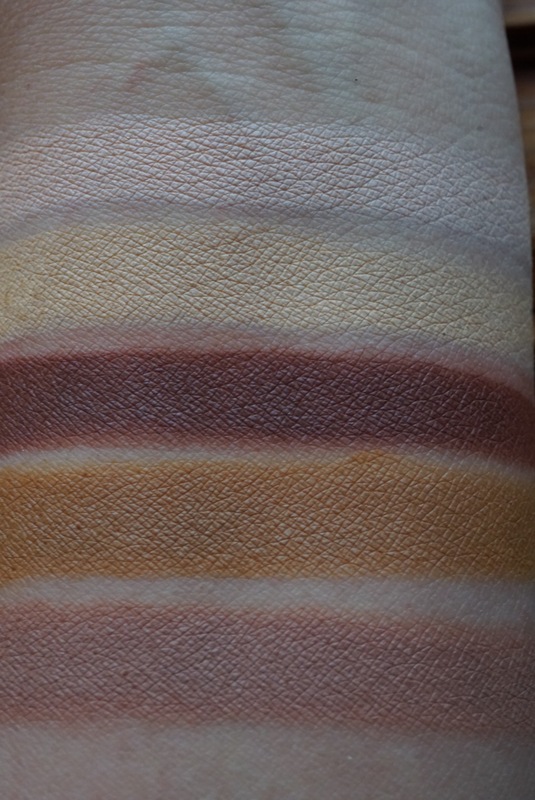 I made all these with a brush and over unprimed skin, however MATTE shadows that will actually go on your eye should have some sort of base / primer anyway but for the purposes of testing I layered these to see color payoff and blendability. Now dif lighting and a video! 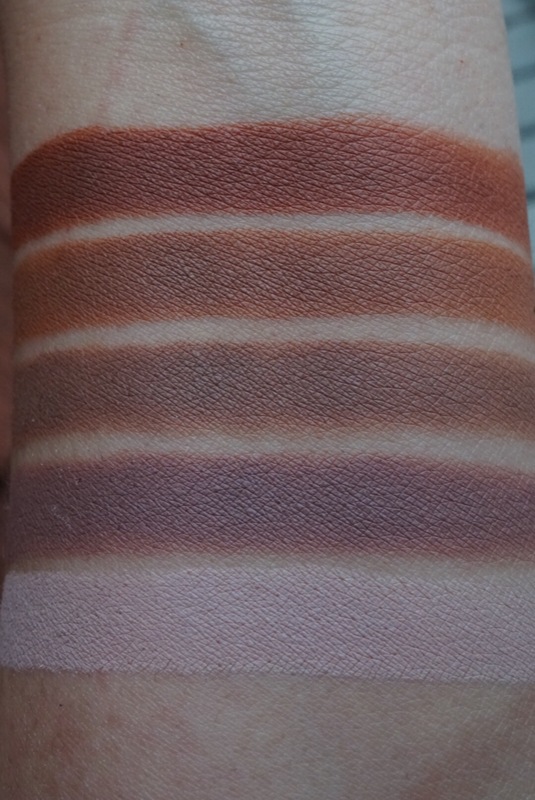 SILVER LINING was a bit patchy to apply heavily like on this swatch, I feel you can easily blend it out as it’s more of a sheer plum. There was some fallout on this one. PIECE OF CAKE is a bright blue. 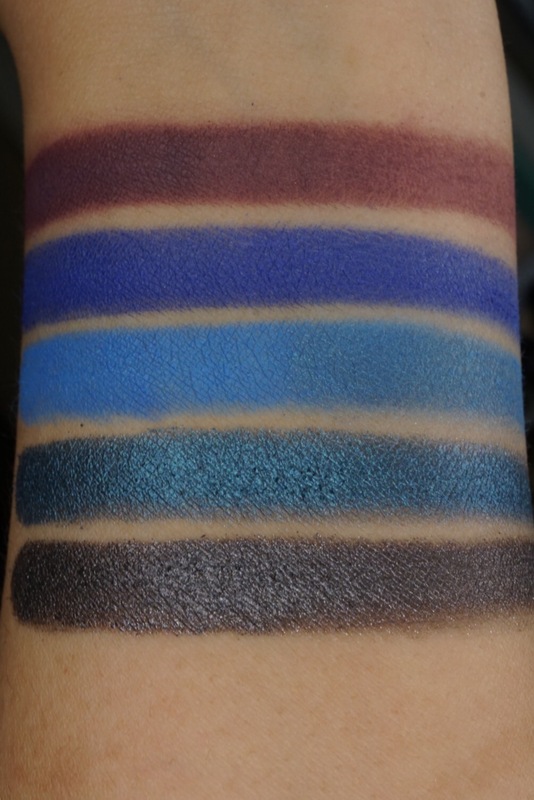 If you sheer it out you can end up with an indigo but layered this way it’s a lighter cobalt. LOST AND FOUND is a lighter white based blue, this one was easier to apply and blend. BACKSEAT AND GOODY TWO SHOES are metallic and I layered them with a wet brush. They are pretty and I’m happy to see a gunmetal in this lineup. 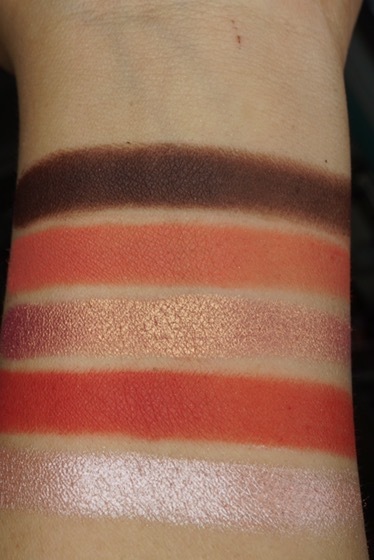 The only one out of this set I didn’t like was LIAR LIAR which is a shimmery ballerina pink. It didn’t layer well dry and Got clumpy when foiled wet. The rest are all musts and COME AND GET IT takes the gold for most likely to succeed in life. 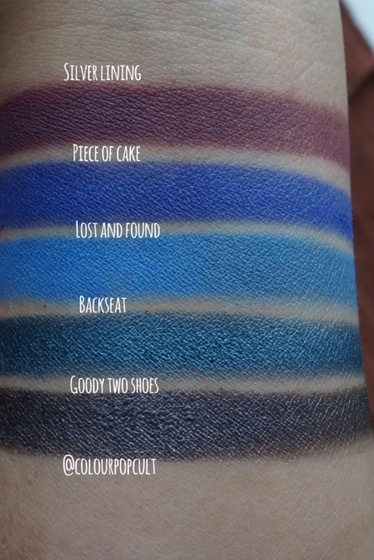 Initially I was informed this shade wasn’t going to be released but last minute it debuted along with the others. Which makes me super happy because everyone needs it in their life. 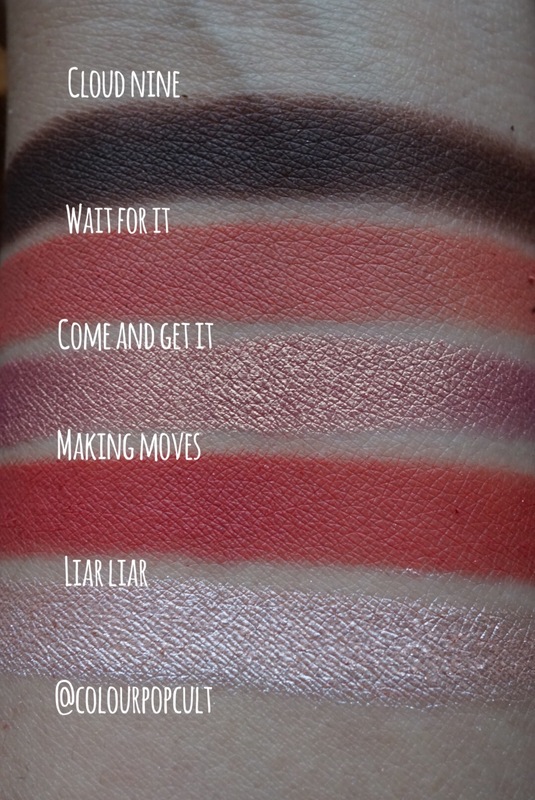 It’s a goldier sister of Melt’s Amelie shadow version of the FLITTER liquid lip. 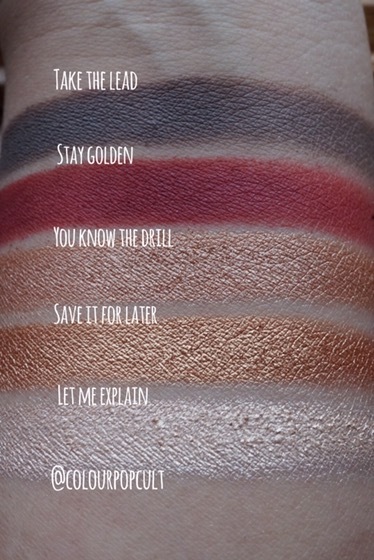 TAKE THE LEAD is a cool toned brown shade while STAY GOLDEN is a red berry shade. Both were easy to blend and rendered great color payoff. The Metallics on this set were great standard gold shades that performed well with the exception of LET ME EXPLAIN. 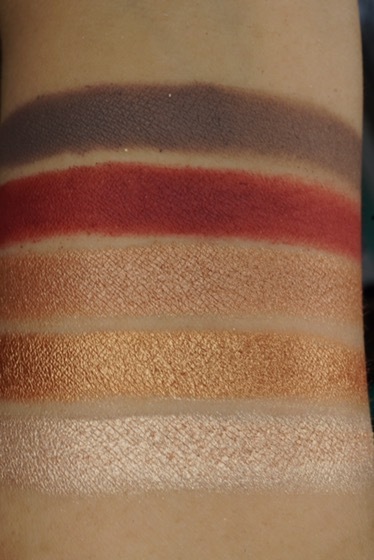 If you need a light Champagne shade stick to GET LUCKY. 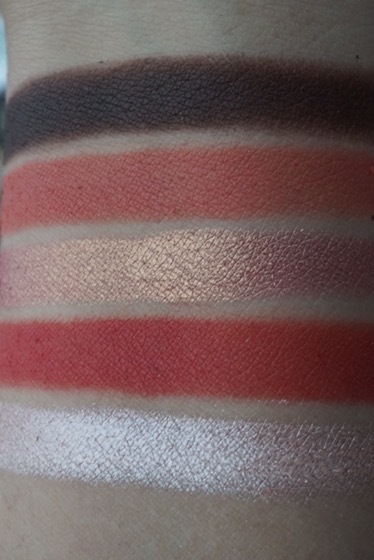 The first mattes on this set are meant as bases, cool toned and warm toned respectively, but very obviously towards the lighter skintones. 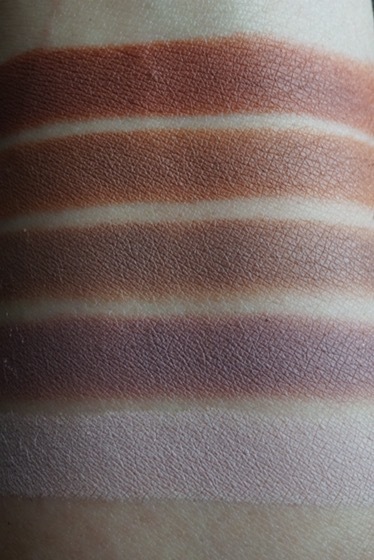 A darker skin tone can use this lightly dusted over their primer to set it. Anything more than that will look chalky due to its white base. POPULAR DEMAND is a rich terra-cotta shade, smooth application even as these shades are tricky to pull through. 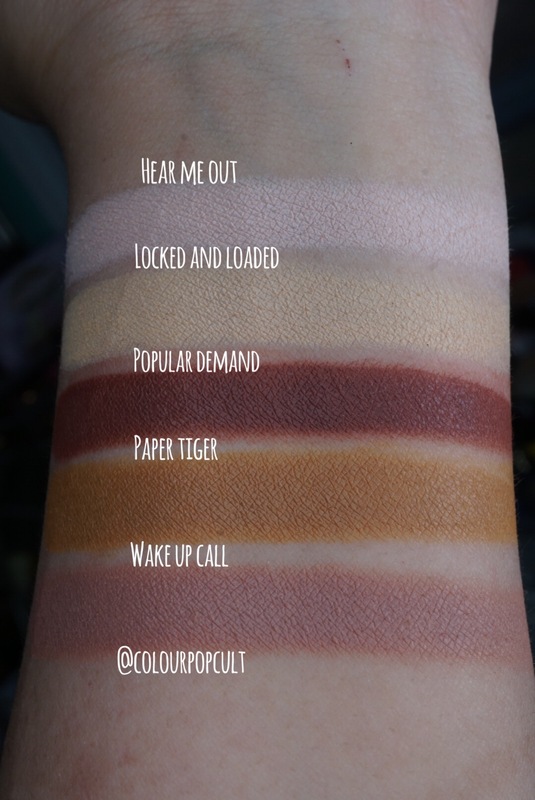 PAPER TIGER a dusty mustard yellow while WAKEUP CALL is a rose. 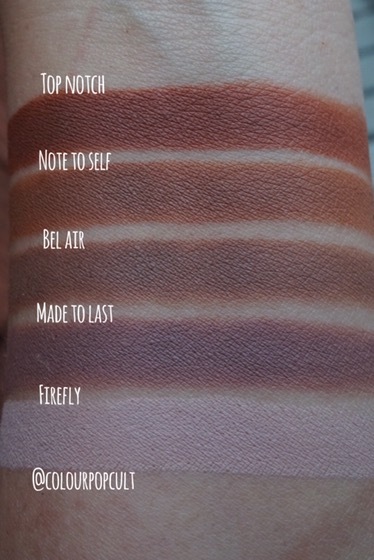 These two can be used as transition shades or layered as they accumulate beautifully. 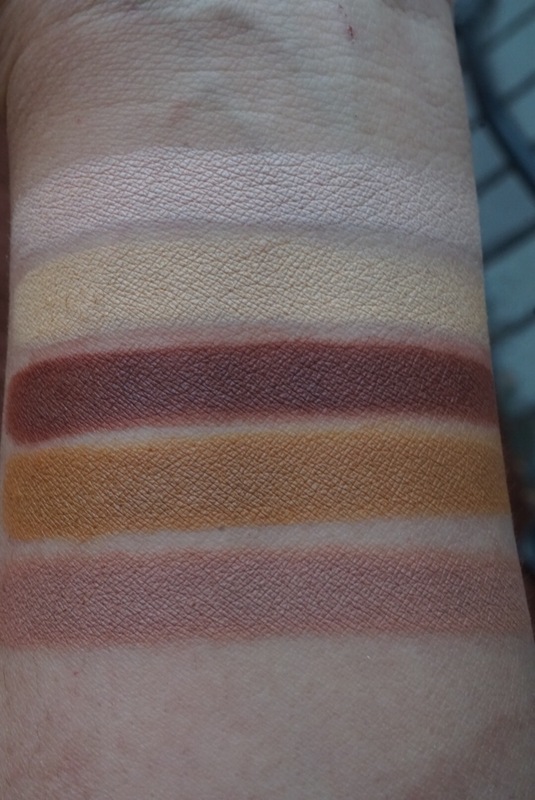 This last set is your browns and cool toned neutrals. 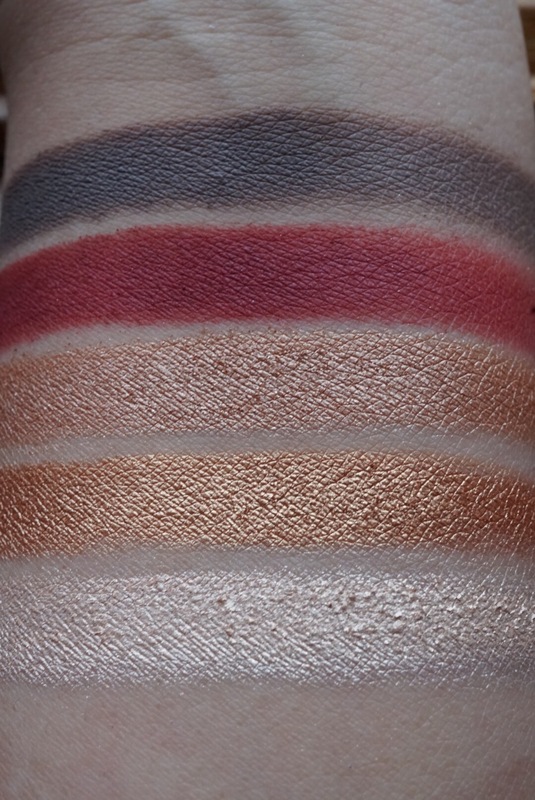 They were all equally easy to work with but also you might have them already on a palette or two.